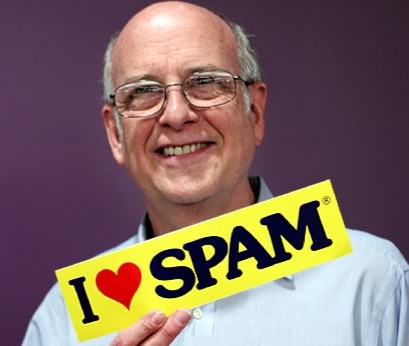 Call it Spam or Unsolicited Commercial Email (UCE), it’s still the same thing: a confounding problem that has plagued our inboxes, and the world, starting with the first piece of spam in 1978 by Gary Thuerk. The story, and history of spam, is full of twists and turns—patterns of abuse have adapted and capitalized on innovative technologies and changes in policy and legislation. The Messaging Malware Mobile Anti-Abuse Working Group (M3AAWG) held its 33rd annual meeting last month in San Francisco. As part of the ongoing conversations and training that happen before the official start of the meeting, Autumn Tyr-Salvia, Director of Standards and Best Practices at Message Systems, gave a talk a talk on The History of Spam. Autumn premiered this talk in Boston at the 32nd meeting; the talk covers 4 decades in the battle against spam highlighting central figures on both sides of the struggle. Autumn’s talk is a rich narrative and will help you understand how spam evolved and what the industry has done to combat it across multiple fronts. This kind of history lesson is invaluable as it helps you understand the climate in which you send mail, and it drives home the message that the kinds of threats that ISPs and mailbox providers face are really quite daunting. Legitimate email accounts for a small fraction of the total volume of email sent on a daily basis—mailbox providers are constantly trying to find new, programmatic ways to differentiate between legitimate, wanted mail and spam. On the flip side spammers are constantly trying to make their email look more like legitimate mail to bypass the filters on the road to the inbox. Differentiation is an important concept to take stock of, brands coalesce around themselves based on how they differentiate from their competitors. Differentiation is equally important when you apply the concept to email delivery and deliverability: senders need to differentiate themselves from spammers by conforming to industry best practices and understanding how spam has evolved since the first shot across the bow.